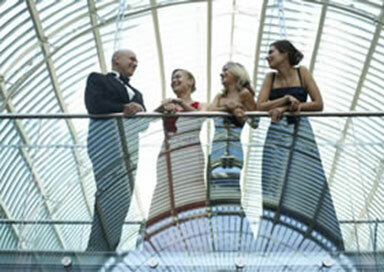 This London based string quartet was founded by graduates of Britain's top music colleges and also offers a trio option. Their shared passion for chamber music allows them to acquire an extensive repertoire and to gain experience in providing live music for all kinds of events, ranging from weddings, civil partnerships, parties and corporate functions to band music, sessions, and TV. Their repertoire ranges from baroque to pop and covers nearly every imaginable genre in between. They mainly play for events in London and the Southeast but are willing to travel anywhere within the UK. Haydn String Quartet Op.76 No.2 "Emperor"
Various Other popular tunes from Broadway & West End shows - ask us!